From its impressive interior room that comfortably seats up to eight to its sporty design, the 2019 Honda Pilot has the appeal of a minivan and the rugged ability of an SUV. Visit our new and used Honda dealership in Cartersville, Georgia to learn more about the advanced systems and luxury appointments this new Honda offers. Don't miss the 9-inch Rear Entertainment System and Tri-Zone Automatic Climate Control! 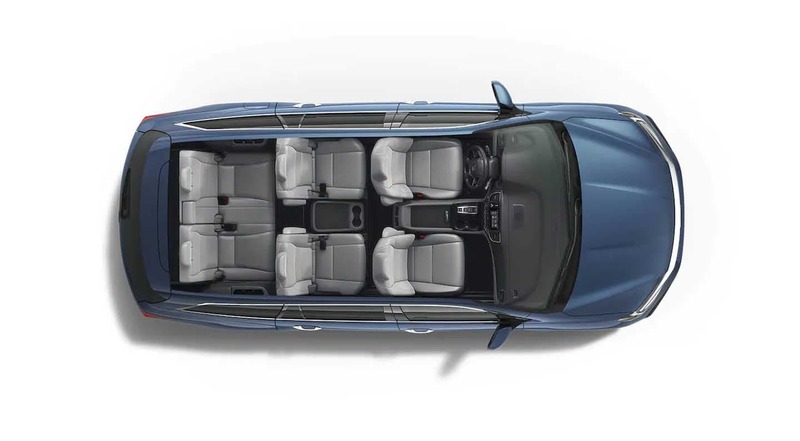 Fold down the 60/40 seats to fill the 109 cubic feet of cargo volume or adjust the seating configuration to give you the passenger room you need. The clever design of the 2019 Pilot lets you load all your necessary gear and co-conspirators. Where will your new Pilot take you? The 2019 Honda Pilot is available with up to five USB ports. All occupants can maintain a full charge in their compatible tablets and smartphones. Visit our Honda dealership near Kingston and Alice to learn more. Be sure to see the three 12-volt outlets, 115-volt outlet, HDMI port, and two auxiliary jacks! HondaLink® gives drivers the ability to easily stay on top of their 2019 Pilot's fuel status, and remote features, such as engine start and door locks. When considering the Pilot trim model that meets all of your needs, HondaLink® is standard the EX, EX-L, Touring, and Elite trims. When you are ready to finance your 2019 Pilot, drop by our Honda dealer near Calhoun. Honda Sensing® is a suite of driver-assist technologies and safety features designed to help keep you and other motorists safe on the roads of Woodstock, Georgia. Adaptive Cruise Control is a smart-feature that adjusts the speed of your new Pilot to maintain a safe following distance from the car ahead.